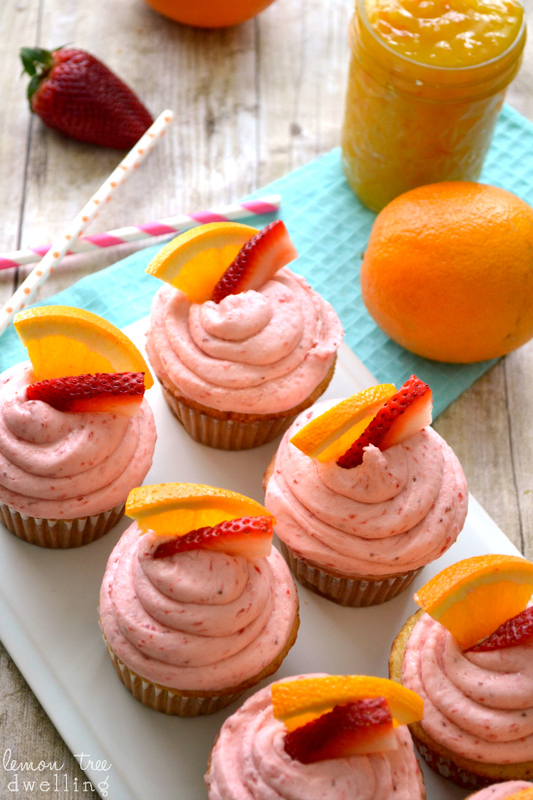 Vanilla cupcakes filled with sweet orange curd and topped with fresh strawberry buttercream. Combine orange zest and juice (about ½ c.) in a medium saucepan. Add sugar and cook over medium heat until mixture begins to simmer.